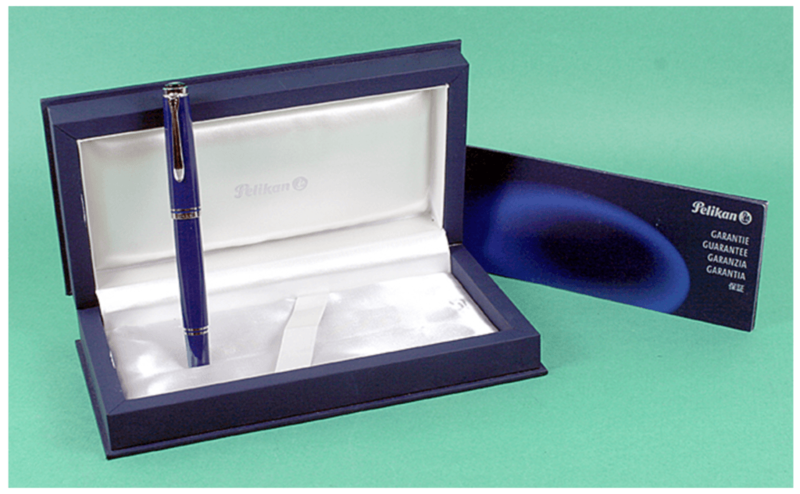 This is a 2003 Pelikan M605 Special Edition piston-filling fountain pen in Dark Blue. Chrome plated trim. Visualated barrel. 2-tone, medium nib. New-old-stock. Mint in box. UPDATE: SOLD. Item #47 in Catalog #85. 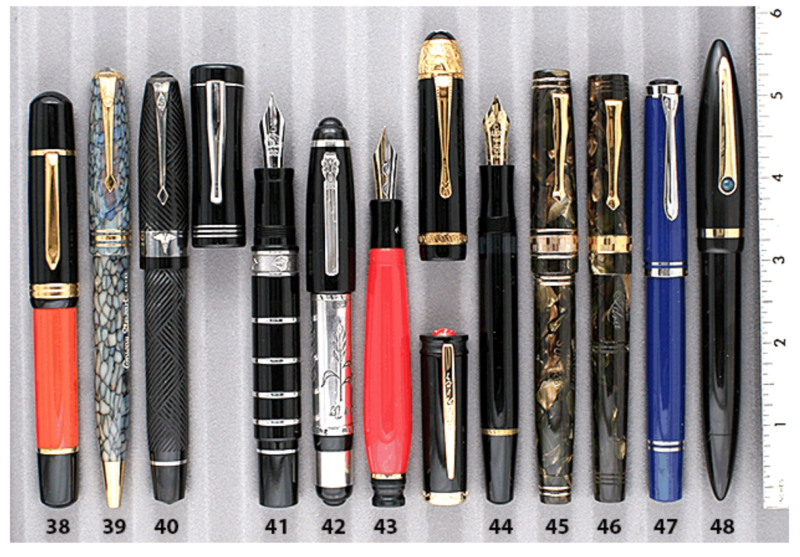 This entry was posted in Modern Pens, Vintage Pen, Vintage Pens and tagged Catalog, Catalogs, Extraordinary Pens, Fountain Pens, Go Pens, GoPens, Pelikan, Vintage Fountain Pen, Vintage Fountain Pens, Vintage Pen, Vintage Pens. Bookmark the permalink. Follow any comments here with the RSS feed for this post. Post a comment or leave a trackback: Trackback URL.